Johnny Depp (born 9.6.1963) Johnny Depp is an American actor who has played a large number of high profile roles in films such as Pirates of the Caribbean and Edward Scissorhands. 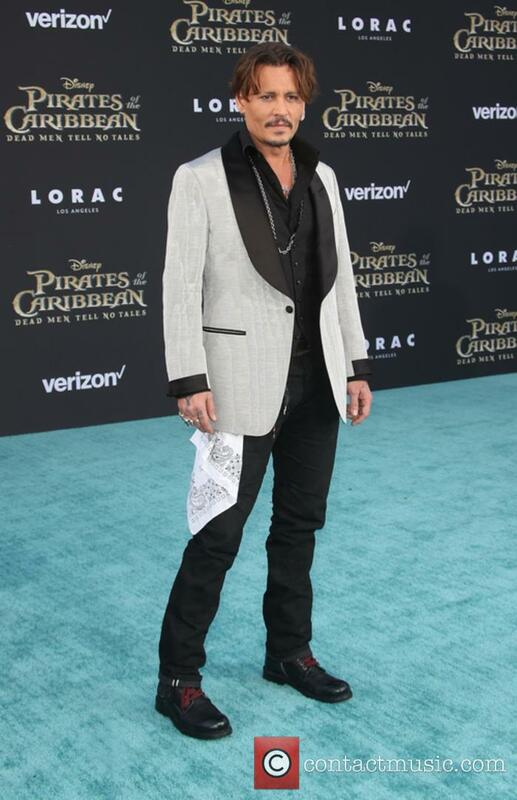 Net worth: Depp was reported to have a net worth of $350 million according to Celebrity Net Worth in 2013. Childhood: Johnny was born to Betty Sue Palmer and John Christopher Depp in Owensboro, Kentucky. He has one brother and two sisters, one of whom (Christie) now works as his personal manager. 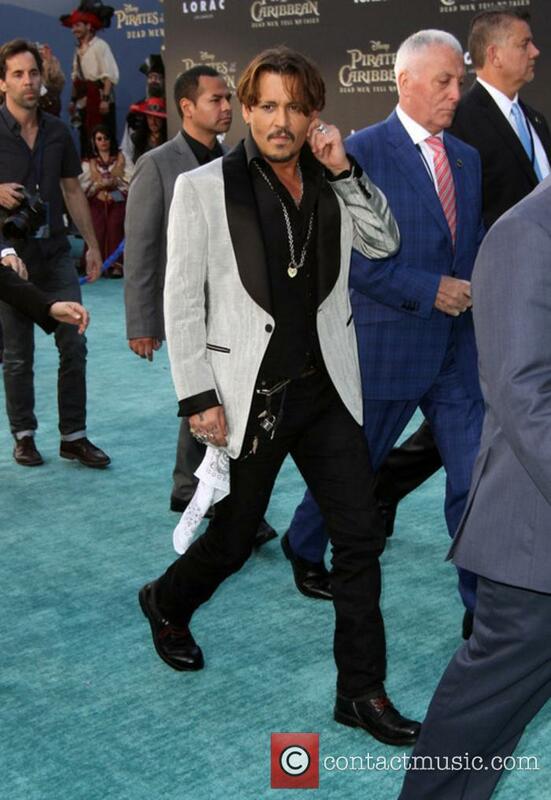 Depp's family moved often throughout his childhood, though they eventually settled in Florida. Johnny Depp started to learn the guitar when he was 12 years old and played in a number of garage bands. He dropped out of school to play in a band named The Kids, who moved to Los Angeles and changed their name to Six Gun Method. 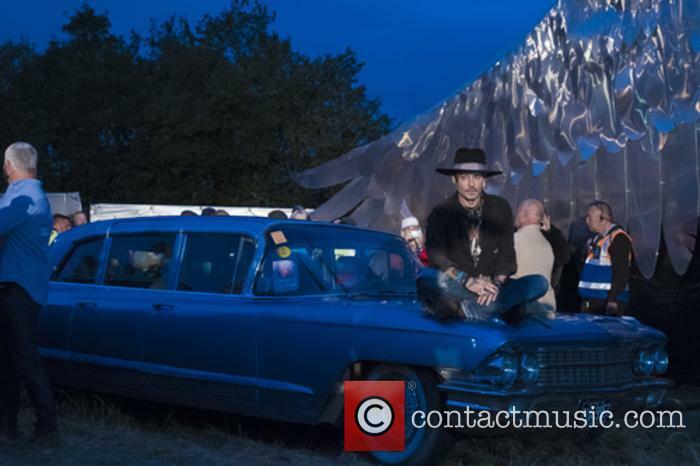 Johnny Depp also worked with the band Rock City Angels and co-wrote 'Mary', which appeared on their album Young Man's Blues, released on Geffen Records. Acting Career: In the early 1980s, Depp's wife at the time, Lori Anne Allison, introduced him to Nicolas Cage, who encouraged him to pursue an acting career. In 1987, Johnny Depp landed his first lead TV role in 21 Jump Street. He reportedly took the role because it meant that he would get to work with Frederic Forrest. 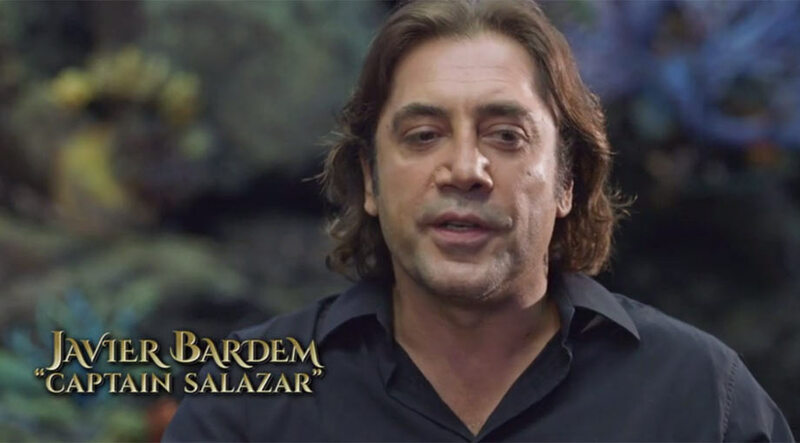 Depp's friend Sal Jenco was also cast in the series. Johnny Depp first appeared in a feature film in 1984, when he appeared in A Nightmare on Elm Street, playing one of Freddy Kruger's victims. In '86, he appeared in Oliver Stone's Platoon, which also starred Charlie Sheen and Willem Dafoe. In 1990, Depp took the lead role in Edward Scissorhands. The film was directed by Tim Burton, with whom Depp would have a long-standing working relationship. 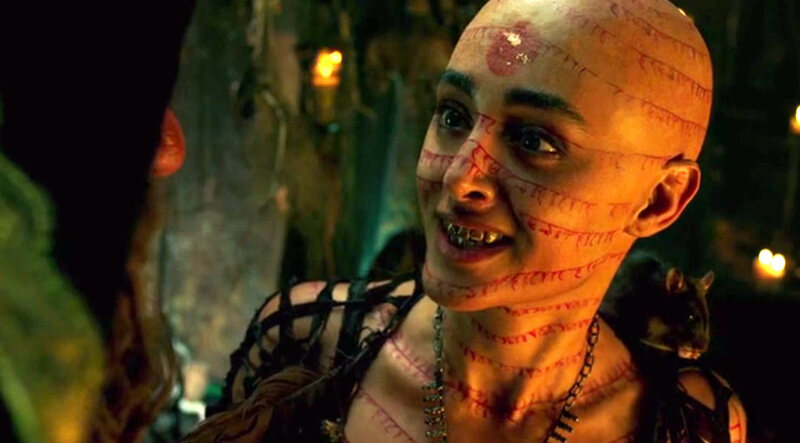 The highly successful film also stars Winona Ryder and features music by Danny Elfman. In 1994, Burton cast him to play the title role in Ed Wood. 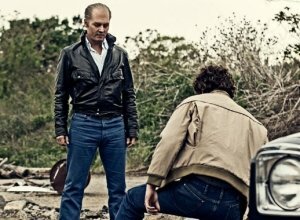 Johnny Depp is a huge fan and a personal friend of the writer Hunter S Thompson. In 1998, he played the role of Thompson in Fear and Loathing in Las Vegas, adapted from the writer's autobiographical novel of the same name. 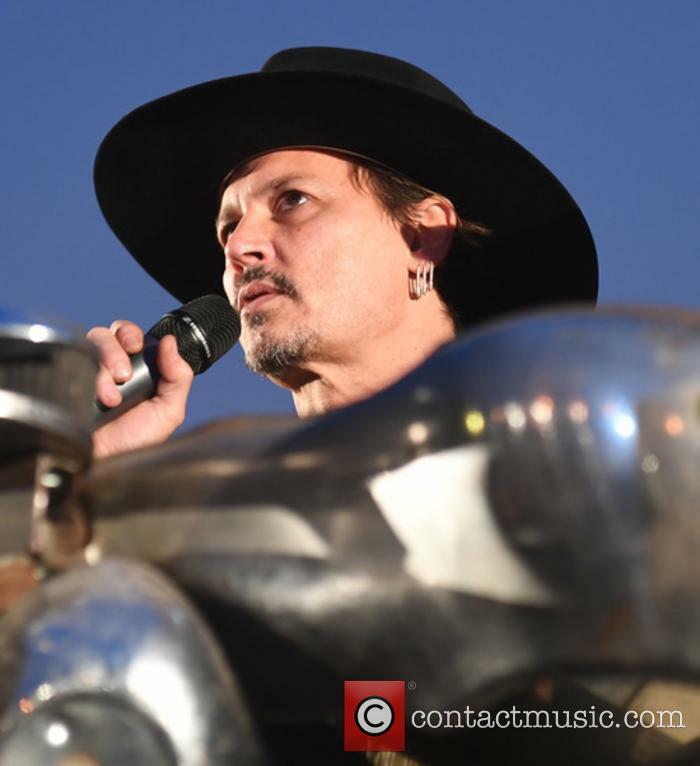 When Thompson died, Johnny Depp paid for a large proportion of the funeral proceedings, in which Thompson's ashes were fired from a cannon in Aspen, Colorado. In 1999, Depp starred opposite Christina Ricci in another Burton movie, Sleepy Hollow. In 2003, Johnny Depp starred in the first of the Pirates of the Caribbean trilogy, The Curse of the Black Pearl. 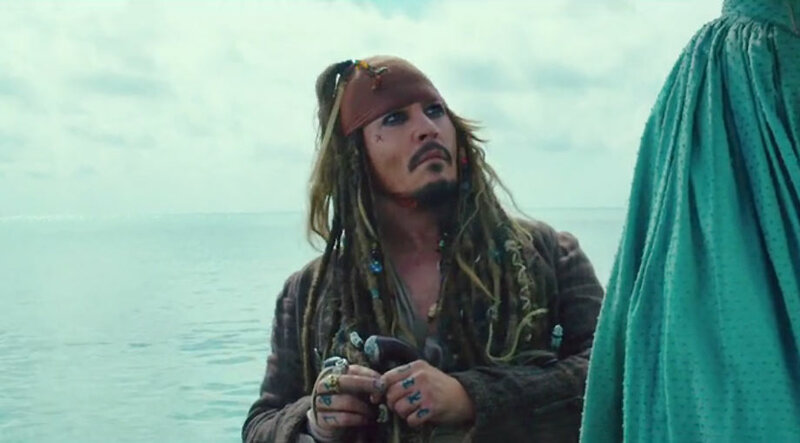 He plays the pirate Captain Jack Sparrow, whom he loosely based on Keith Richards (who makes a cameo appearance in the last film of the trilogy). The films also star Bill Nighy, Keira Knightley. He was nominated for the Best Actor Oscar for his role, which became hugely popular among the cinema-going public. The second film, Dead Man's Chest was released in 2006 and the third installment, At World's End was released in 2007. Depp was nominated for another Best Actor Oscar in 2004 for his portrayal of the author JM Barrie in Finding Neverland, which also starred Kate Winslet, Julie Christie and Dustin Hoffman. His next major project was playing Willie Wonka in the 2005 adaptation of the Roald Dahl children's novel Charlie and the Chocolate Factory. Depp returned to working with Tim Burton in 2008, with the release of the musical version of Sweeney Todd: The Demon barber of Fleet Street. 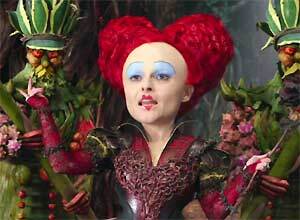 The music was scored by Steven Sondheim and the film also starred Helena Bonham-Carter. Depp won the Golden Globe Best Actor award (Musical or Comedy) for his performance in the film. In 2007, Johnny Depp secured a deal with Warner Brothers to make a film version of Dark Shadows, the gothic soap opera that was shown on the ABC network from 1966-71. 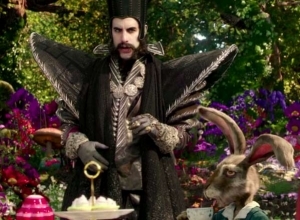 Along with Colin Farrell and Jude Law, Johnny Depp was chosen to play a transformation of Heath Ledger's character in the Terry Gilliam-directed The Imaginarium of Doctor Parnassus. Ledger's untimely death half-way through the film led to the re-casting of the character and all three of the actors chosen to take on the role have donated their salaries from the film to Heath Ledger and Michelle Williams' daughter Matilda. 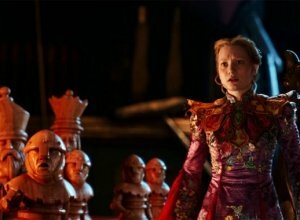 The following year, he played the role of the Mad Hatter alongside Mia Wasikowska in Tim Burton's 'Alice In Wonderland'. In 2011, he starred with Amber Heard in the drama 'The Rum Diary'. He's been known to play all sorts of unusual characters in his movies and stayed true to form by landing the role of Tonto in 2013's 'The Lone Ranger' opposite Armie Hammer. The following year, he played a scientist who's death allows him to be uploaded into a computer in 'Transcendence'. Personal Life: Johnny was married to Lori Anne Allison for a couple of years in the 1980s. After they divorced, Depp was briefly engaged to Sherilyn Fenn, though they never married. He has also dated Winona Ryder and Kate Moss. Johnny Depp met his long-term partner, Vanessa Paradis whilst working on the film The Ninth Gate. They have two children together, Lily Rose Melody Depp (b.1999) and John Jack Christopher Depp III (b.2002). Johnny and Vanessa split in 2012, after which he begain dating Amber Heard. He and Amber were engaged in 2013. 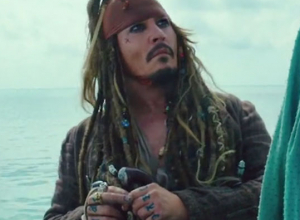 Depp's career-defining role as Captain Jack Sparrow may be at an end, as Disney plans a re-boot of the franchise. 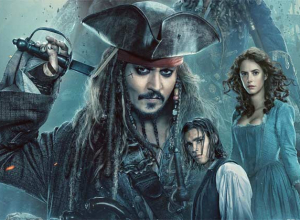 Following a difficult few years in his personal and professional life, Johnny Depp has reportedly been ditched from the Pirates of the Caribbean film franchise as Disney plans a significant re-boot of the series. It’s the role that superstar Depp is arguably the most famous for, having held down the part of the colourful Captain Jack Sparrow in five Pirates of the Caribbean over the last 15 years. 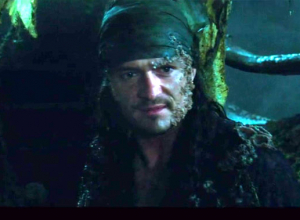 However, his last outing in 2017’s Dead Men Tell No Tales became the lowest-performing movie of the series in commercial terms. 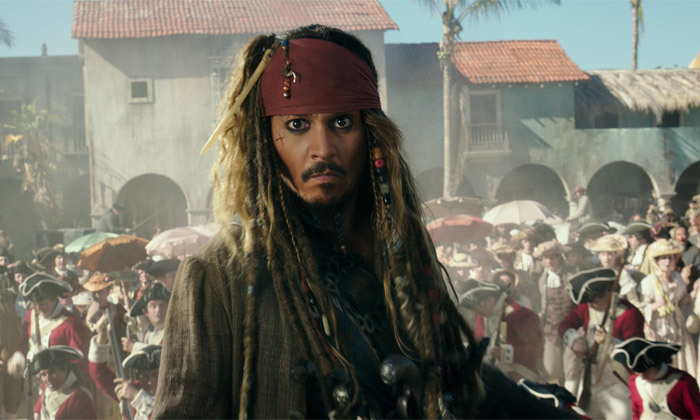 Now, original Pirates scriptwriter Stuart Beattie has hinted in a new interview that Disney has decided to part ways with Depp as it seeks a major overhaul of the entire franchise. Amid threats of a fan boycott, Rowling last year defended Depp's casting as the villain Grindelwald in the 'Fantastic Beasts' sequel. 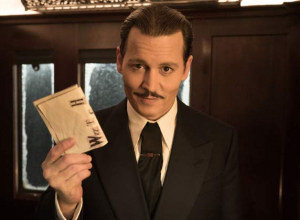 Johnny Depp has addressed the controversy surrounding his casting in the forthcoming Fantastic Beasts sequel The Crimes of Grindelwald, saying he “felt bad” for J.K. Rowling as defended the decision to go with the actor in the light of domestic abuse allegations against the actor. Back in December last year, the Harry Potter author Rowling – of whose book and film series the Fantastic Beasts movies are a spin-off – justified Depp’s inclusion in the films, despite the allegations of physical abuse made by his ex-wife Amber Heard during their bitter divorce proceedings in 2016. 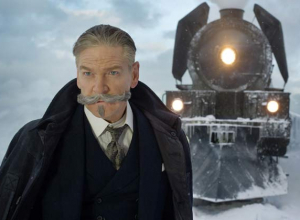 “The film-makers and I are not only comfortable sticking with our original casting, but [are] genuinely happy to have Johnny playing a major character in the movies,” the author had said ten months ago, adding that re-casting his part as the villain Grindelwald had “naturally” been considered. 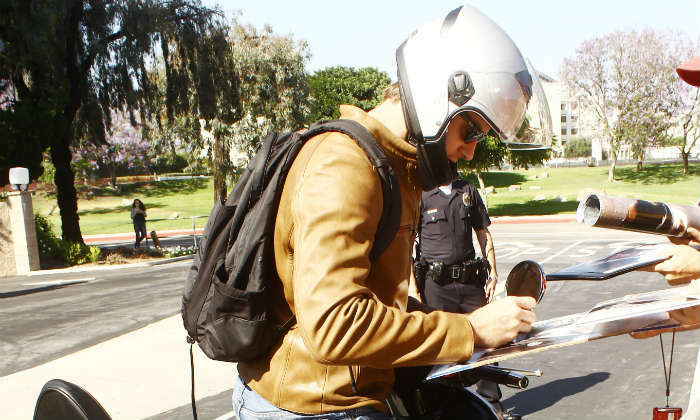 Armie Hammer signed a peach... But it only gets stranger. The one thing you can guarantee if you're a celebrity is that people will ask you to sign your autograph. And while that usually means your own products or merch, photos and notebooks, sometimes a chest or two, occasionally you'll be asked to scribble on something just plain weird. 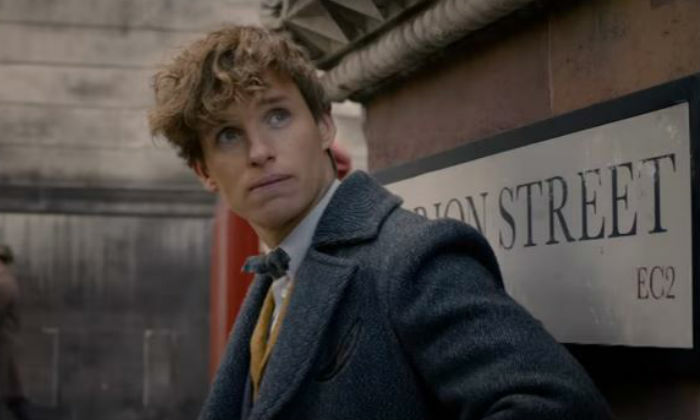 The teaser for 'Fantastic Beasts 2' is informative as it is thrilling. 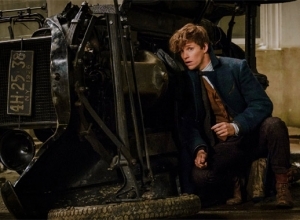 It looks like Harry Potter fans will get to return to Hogwarts this Fall for 'Fantastic Beasts: The Crimes of Grindelwald'. 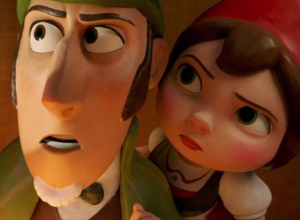 The first official trailer is being feverishly picked apart for every little detail. There are new creatures, familiar names and a story that has long needed to be told. We literally cannot wait. The teaser was unveiled at San Diego Comic-Con on Saturday (July 21st 2018) and it gives us a lot to chew over. David Yates is back in the director's chair and it's clearly another imaginative screenplay from universe creator J. K. Rowling. Location manager Greg 'Rocky' Brooks claims that Depp verbally and physically assaulted him while they were working on 'City Of Lies'. Johnny Depp is the subject of a lawsuit from a crew member on a film he has been shooting, who alleges that the star physically and verbally assaulted him. Location manager Grey ‘Rocky’ Brooks is suing Depp, as well as the director and producers of upcoming Notorious B.I.G. film City of Lies, for unspecified damages in the lawsuit filed last week on July 6th in Los Angeles County Superior Court. The documents claim that 55 year old Depp subjected Brooks to a foul-mouthed rant and punched him “angrily and forcefully” in the ribcage twice, when Brooks was forced by director Brad Furman to tell Depp that, because of legal permits, an upcoming take would have to be the last one of that evening.